Coat the lamb with flour. 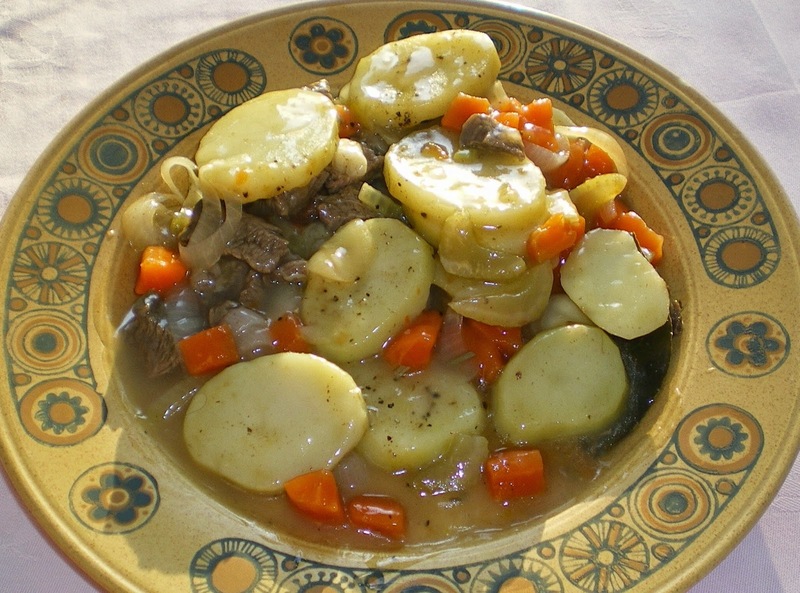 Layer the lamb and the vegetables (except the potato slices) in an oven proof dish. Season with salt and pepper. Add in the bay leaves, thyme, rosemary, mustard and nutmeg. Cover with potato slices then pour in the stock and sherry. Spread with garlic butter and ground pepper. Cover with foil. Serve with pickle red cabbage. Delicious.